Alexandra Waligorski is a curator, art historian and art mediator specialized in contemporary art, digital and media art. Alexandra Waligorski studied art history and Islamic studies in Hamburg, Germany, Poznan Poland and Damascus, Syria. From 2012 until 2014 Alexandra was a researcher and curator for the Leuphana Arts Program at Leuphana University in Lüneburg, Germany a program dedicated to fostering exchange between researchers, artists and students on current topics within the fields of economy, sustainability, education and the humanities. In 2014 she joined the team of NODE Forum for Digital Arts where she started working with Jeanne Vogt. 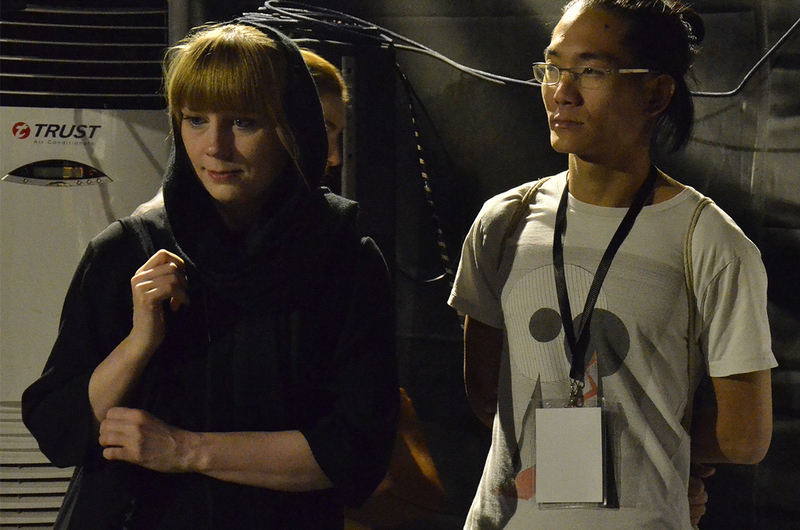 She co-curated the exhibition „The Informed Body“ and organized the wider public program of the NODE15 festival. Since then she is in an ongoing collaboration with Jeanne developing projects in Frankfurt and Hamburg and engaging the public in a dialogue about the art and technology’s impact on society. In 2016 they launched the workshop festival A/D/A – Today’s utopias for Tomorrow’s Citizens. Currently Alexandra is pursuing a Phd project on critical making and practices of anonymization within the research group „Re-Configuring Anonymity. Contemporary Forms of Reciprocity, Identifiability and Accountability in Transformation“ at Leuphana University Lüneburg, the University of Hamburg and Bremen University.